It’s been talked about on the San Carlos City Council for the past 25 years. The truth of the matter is that there is a need, we could find the space, and it would help city finances. 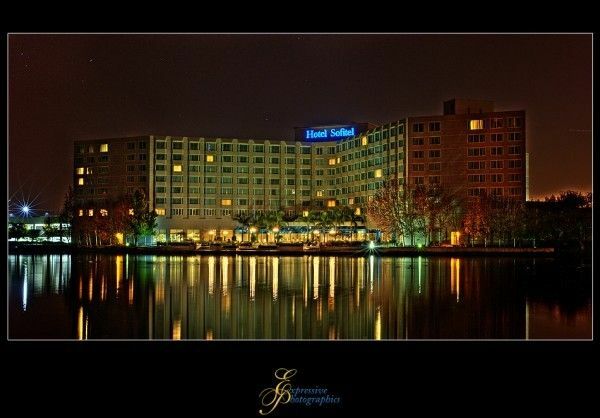 The Sofitel has done exceptionally well in Redwood Shores over the years. Catering mostly to business travelers, this higher-end hotel has proven that a need definitely does exist. The question is whether a second, similar hotel across Highway 101 in San Carlos could prove to be equally as profitable. Redwood Shores has slowly started to fill its vacancies with new start-ups now that VC money is once again loosening up on Sand Hill Road. Additionally, as San Carlos starts to slowly turn over its east side from more industrial to professional businesses, the need for a hotel will only increase. One of the most frequent questions that I get from friends, family and clients, centers around where their friends and family can stay when they visit San Carlos. Let’s face it, most of San Carlos is in a 1,750 square foot home with at least two kids a dog and a garage full of stuff. Many times grandparents or other relatives prefer to stay somewhere else in town. Special discounts for friends and family at a new San Carlos hotel would fill a need. The city does own property close to the Hiller Aviation Museum and the San Carlos Airport, but nothing really suitable on the west side of 101 that could accommodate a hotel. I believe the key to a prospective hotel is building it between Industrial and Old County. This area does have several very large parcels that are certainly not being put to their best and highest use. In this instance, the city would have to almost act as a broker to match up a parcel with a prospective hotel. It can be done. San Carlos does not need a hotel as large as the Sofitel. Currently, the Sofitel has 421 rooms. If San Carlos could provide the space for a hotel at 75-50% the size of the Sofitel, the financial incentives would still be very attractive for the city. City coffers would benefit tremendously from a higher-end hotel. Currently, the City of San Carlos has a Transient Occupancy Tax (TOT) of 10% on room revenues paid to hotels within the city limits. Assume the average room over a calendar year is $225 a night, after corporate and other miscellaneous discounts. Further, assume that 150 rooms are rented on a nightly average. The amount due to the city would be $1,231,875 per year, under the TOT. The city would also reap secondary benefits via additional spending downtown from hotel visitors. Restaurants, bars and shops downtown would all receive an increase in traffic. The businesses themselves benefit. The city benefits from the additional sales tax revenue. Whether a prospective hotel can be matched up with a suitable parcel remains to be seen.